Mitsuki Dazai is a graduate of Tokyo’s prestigious Kunitachi College of Music, studied koto with the world-renowned virtuoso Kazue Sawai, and received her certificate in koto instruction at Sawai Koto Institute. 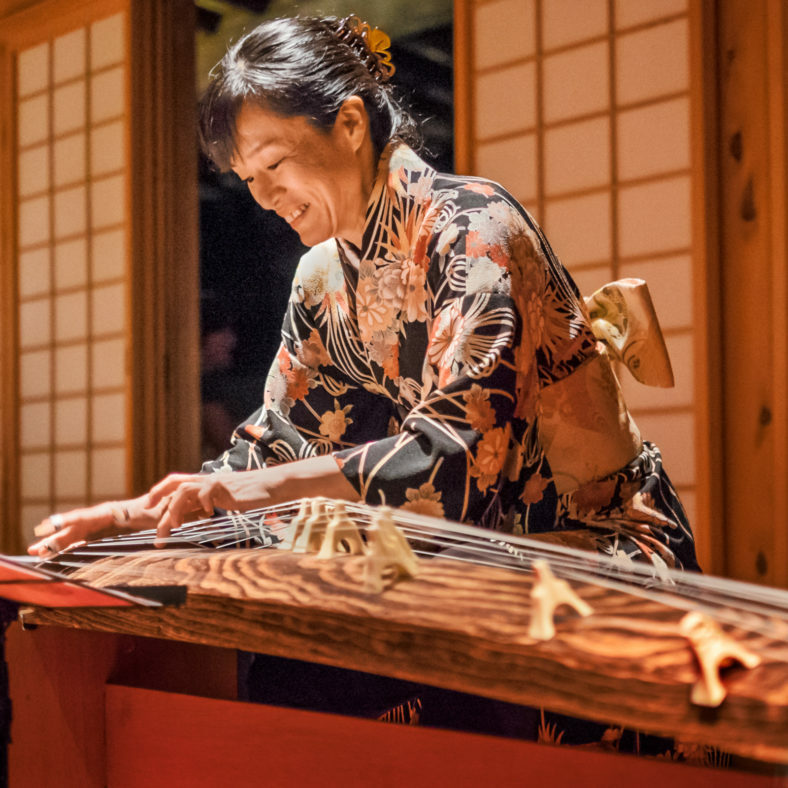 Dazai moved to Oregon in 2002, serving as a guest lecturer at universities in Oregon, as an artistic director of new koto ensemble group, Oregon Koto-Kai (Japanese Koto Society of Oregon), and touring throughout the US, Europe, South America and Japan. 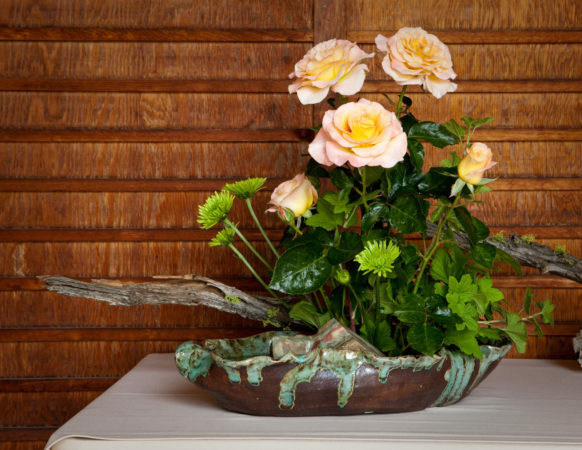 In 2010, Dazai was featured on Oregon Art Beat and released two CDs —Autumn, Music for Solo Koto (2007), and Far Away…Romances for Koto (2010) in collaboration with Grammy nominated composer Michael Hoppe. Her artistry is also featured on the album Shanti Samsara: World Music for Environmental Consciousness, produced by Grammy-winning Composer, Ricky Kej. In 2016, she was invited to 21C Music Festival in Toronto, Canada, and played with Continuum Contemporary Music. Masumi Timson holds a master’s degree (師範 – Shihan) in Koto and Shamisen from the Seiha School of Japanese Traditional Music. She plays both classical and contemporary koto music and sings Japanese classical songs with koto and shamisen accompaniment. To explore a wide range of musical genres from Jazz, Blues, and Tango, to Mozart, she also enjoys collaborating with a variety of western musical instruments. Masumi has participated as a session musician on several Pink Martini albums. 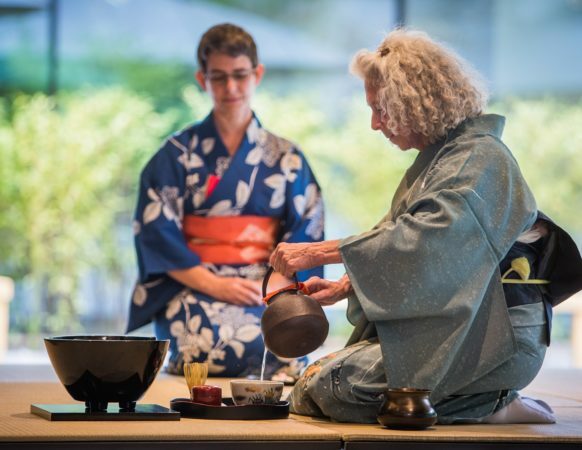 Masumi also organizes and directs the Sakura Koto Ensemble, a group of musicians based in Oregon who play traditional Japanese instruments and sometimes collaborating with musicians of western musical instruments. Masumi currently teaches at several universities in Tokyo and continues performing solo and with various musical groups and artists both in Japan and the USA. Eri Muroi started taking koto lessons with Yuri Suzuki, and she had studied shamisen (Japanese three-stringed lute) and koto under Miho Ashigaki. She graduated from Tokyo University of the Arts, and studied at NHK (Japanese National Broadcasting Company) school for performers of traditional Japanese music. She won a prize for Jiuta-shamisen in All Japan Competition hosted by Miyagi Koto Association. 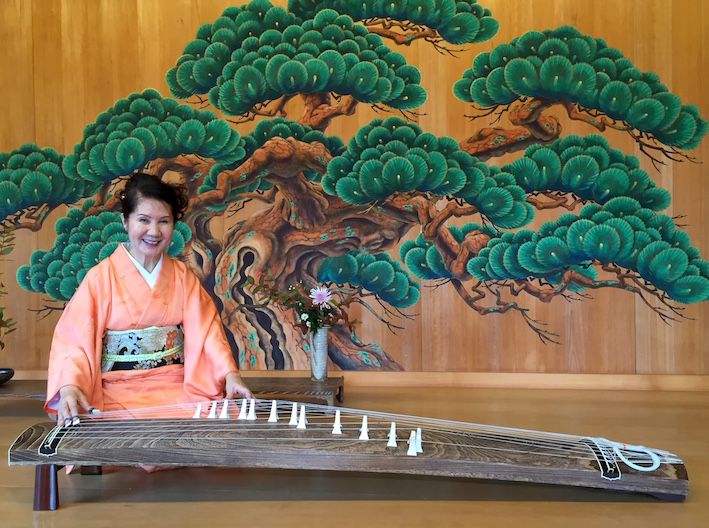 Eri is a certified koto instructor of Miyagi Koto Association. 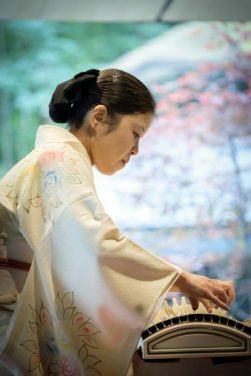 Eri is a member of Oregon Koto-Kai. She is also a member of Kotorito (香鳥絃) a Japanese musical group with traditional Japanese musical instruments, formed in Portland in 2018. 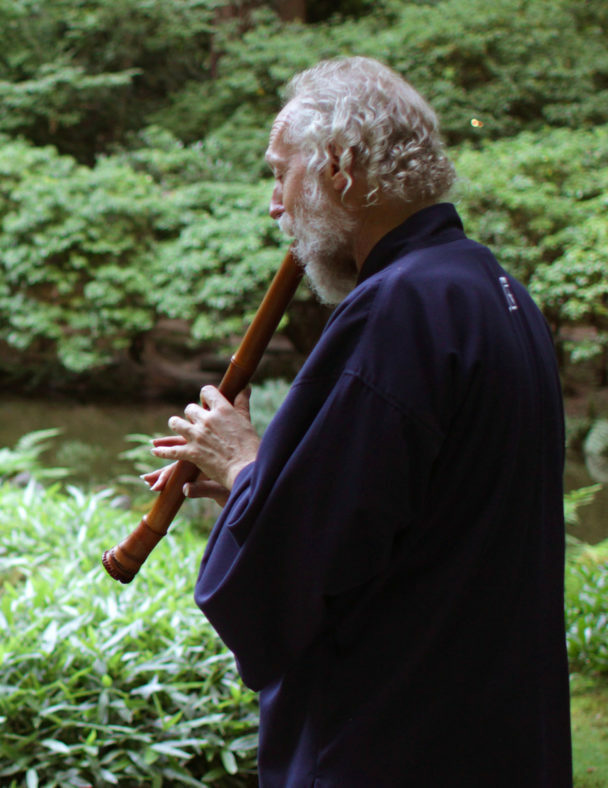 Larry Tyrrell is the foremost player and teacher of shakuhachi in the Pacific Northwest. Trained in Japan, he is a composer, recording artist and performer who delights in sharing the serene and lyrical music of the shakuhachi. His repertory includes traditional Japanese honkyoku and folk songs (min’yo) as well as Celtic, modern and original compositions. 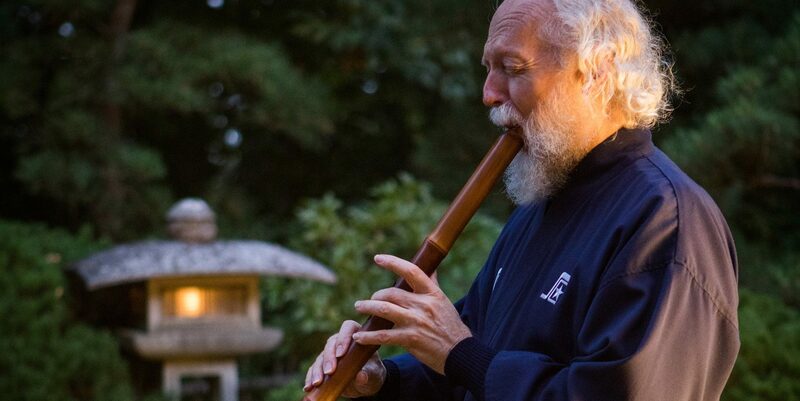 He is currently creating shakuhachi instruction and music videos and teaches at his studios in Portland, Oregon and in the Fremont district of Seattle. Kazutaka “Kazu” Fukui is currently residing in Portland as a fellow gardener at the Portland Japanese Garden. He has achieved mastery in two professions: a Master gardener and a Master player of shamisen. 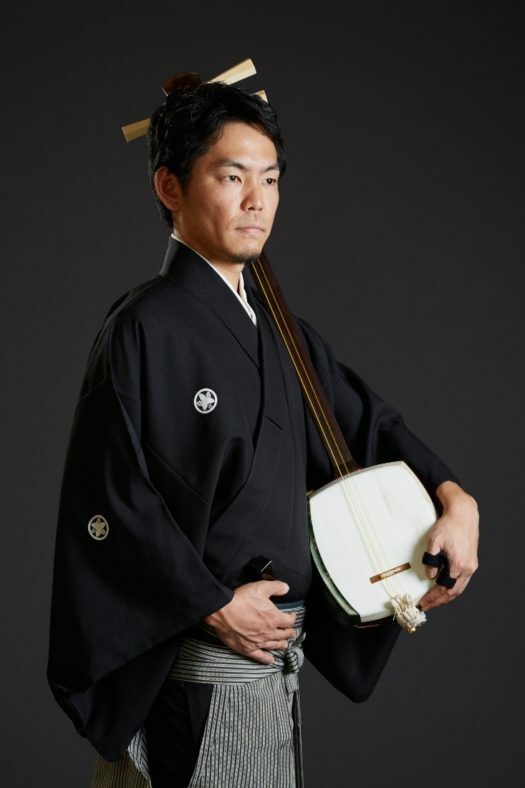 He started his shamisen training at age 16 and won a prize at a national shamisen competition in Japan at age 19. Now he plays shamisen all over the world. Along with his musical pursuit, he studied gardening and earned a Master’s degree in Landscaping Architecture at the Tokyo University of Agriculture. Being in two professions – musical and visual – Kazu disseminates Japanese culture through his unique approaches. 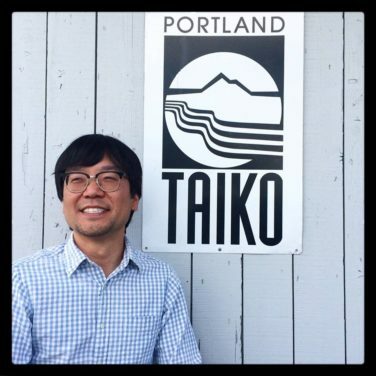 Wynn Kiyama (Executive Director, Portland Taiko and Director, Portland State University Taiko Ensemble) began his taiko training with the San Jose Junior Taiko Group in California and later studied with instructors in Japan, Hawaii, and New York. Kiyama holds a Ph.D. in musicology from New York University and has taught at Rutgers University, Westminster Choir College, Columbia University, Portland State University, and held an artist residency at Colby College. His research on obon dance and music has been presented as a museum exhibit at the Oregon Nikkei Legacy Center, an online photo exhibit, a CD and booklet, conference presentations, and articles. In addition, he has studied Japanese dance (nihon buyou) with the Tachibana School of Nihon Buyou in New York and in Portland with Sahomi Tachibana. He has performed with a wide variety of musicians including Arturo O’Farrill and the Lincoln Center Afro-Latin Jazz Ensemble, Toshiko Akiyoshi, Badal Roy, Giovanni Hidalgo, Jason Kao Hwang, Sang Won Park, and Korn at such venues as the Knitting Factory, Galapagos, Birdland, Vision Festival, Merkin Concert Hall, Metropolitan Museum of Art, Central Park, United Nations, and the Arthur Ashe Stadium.